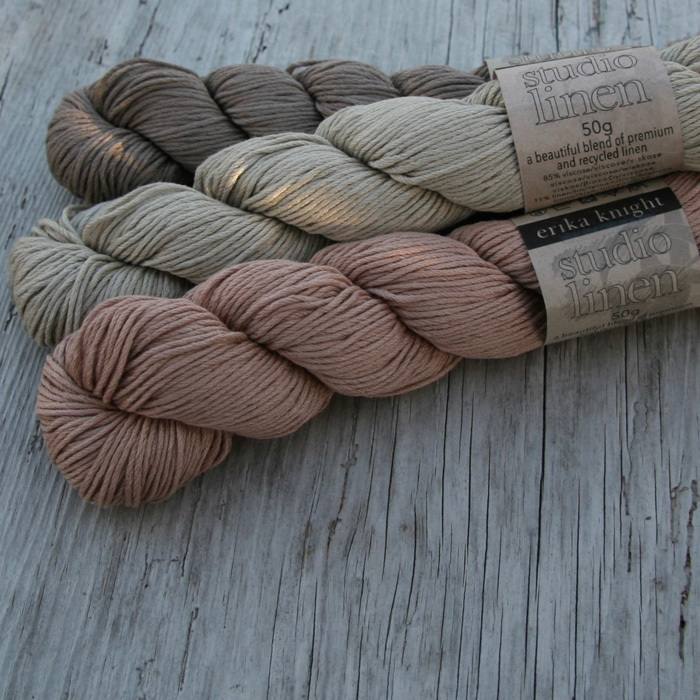 A unique linen yarn made from recycled wastage and premium natural linen. Cool to the touch, with a hint of a sheen and an elegant drape Studio Linen is a yarn that improves with washing and wearing. Two skeins will make the lovely Utility Cowl, the free pattern is here or there’s the Utility top which can be purchased from our Ravelry page here. Ball weight and length – 50g./120 m.
Machine washable – Hand wash only using a mild detergent. Cool iron.